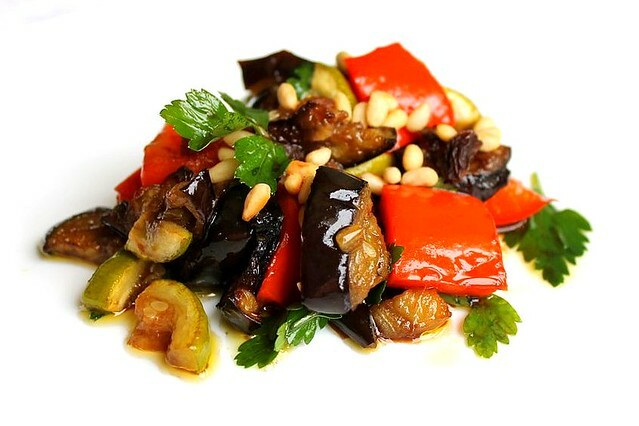 You might well tell me that it is not the classic caponata and perhaps you will be right. It happened so that I tried caponata in different interpretations here and there and there was one I liked by far the most. It was at l'Osteria (tiny Italian restaurant of Toni Vianello in Paris). Since then I was dreaming to recreate it and finally it worked. Just for you to know, I've been saying that I should start cooking Indian food at home since last January. Only a year and a bit and there you go, I made my first dal. I've never been to India and all my love to the food comes from my Indian friend from Insead. 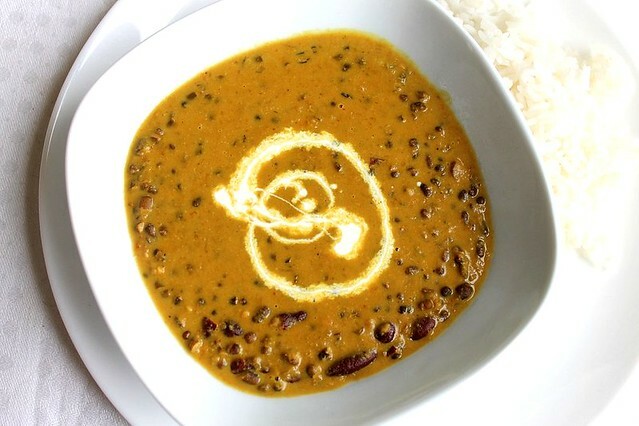 From the dal he made for himself and let me taste at our mutual home in Fontainebleau. Once we were discussing the Lent with Leo. It turned out that he keeps the fast so I asked, what he eats at this time. He just said "hummus" and I thought "of course!". Can there be any problem with getting through the Lent once you know about hummus? That must be one of the most nutritious and at the same time delicious, almost addictive vegan foods on earth. With all my love to hummus and to eggplants one day I had to start making baba ganoush. I haven't been to Maharaja restaurant since summer 2010, when I came to Moscow for Insead vacation. Since then it closed and opened again, many things could change. I wasn't at all sure I'll find the same family run Indian place with really good food and relaxing atmosphere. I did though. It is still the same and I felt back. The dinner was marvelous. These potato zrazy are another take from my grand grandmother's collection. I make them really rarely, because it is time consuming. Something has to force me and this time it was a Russian / Ukrainian cooking class I was preparing to give to a group of German ladies. 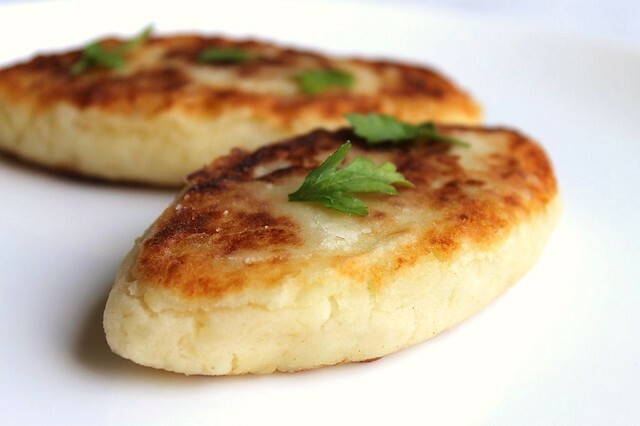 My granny stuffed the zrazy with minced meat, but I prefer mushrooms especially given that it is Lent now. Why did I have so much food?.. We just went to OM cafe. It was so unexpected to encounter such a nice Thai place in Moscow that each and every dish, each piece of noodle, spoon of soup felt like a last chance. As if it was now or never. It now feels so much safer to live here because I'm sure I can go and get this food whenever I crave for it. While I was living in Singapore and Thailand my favorite thai food was always green curry, not tom yam or phad thai. There were whole weeks when I kept eating it day after day, craving for it, hunting and traveling for it. The best green curry I had in Bangkok - at a little thai restaurant across the street from Holiday Inn. We came there by chance, a happy one (I know now) because we missed our flight from Cambodia to Singapore.